What is life? That is the eternal question that I couldn’t even begin to answer, and even if I could, I would probably take hours doing it. Don’t worry, I’m not going to get too deep into existential territory here. But there has got to be a point to all of this. Now I don’t want to sound morbid, but we don’t live forever. We can’t combat death, but what we can do is live our lives to their fullest potential. Nobody else is going to live for us. But that just creates another question - what is it to truly live? Nothing has ever come close to answering that question for me…until I watched this incredible film. Out now on Blu-Ray and DVD comes Still Life, which tells the story of John May, a council worker who has spent 22 years finding the families of those who have died alone. Following the same routine every single day, John sets no time aside for himself – his boss even makes a point of saying he wastes too much time organising funerals (which he always attends) for these lonely souls, when he could just cremate them and move onto the next. As he tells John, “the dead are dead. They’re not there, they don’t care.”. But John’s compassion for the deceased is endless. When John’s department is downsized, he goes on a journey to find the family and friends of William Stoke; his last case. Along the way, he finds himself and finds what it truly means to be alive. 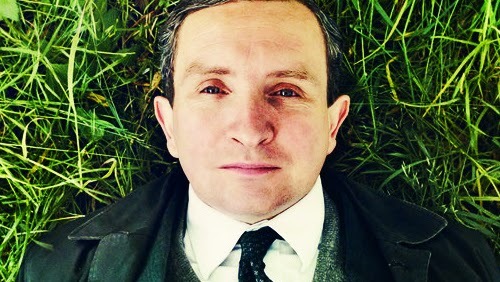 Eddie Marsan is just phenomenal here in the role of John. Usually a supporting actor (seen recently in Filth, The World’s End and Sherlock Holmes), Marsan rises to lead role duties here with great confidence and talent. Bringing an almost obsessive compulsive disorder element to his performance, Marsan makes every single mannerism count. The way he walks, the way he moves and even the way he doesn’t move are all played to perfection. The viewer instantly knows the sort of man he is, just from looking at him in the first few frames. In one scene, a lady says to John “strange job you’ve got…all those lives…I couldn’t do it.”. John replies that he likes his work. And he clearly does. Here is a man going the extra mile, time and time again, to help deceased people he didn’t even know and give them a respectful and dignified end. It inspires me to know there are people out there doing that. If, God forbid, I die alone with no friends or family left, I hope I have someone like John May looking out for me. Still Life is cinema as an art form. With its hauntingly beautiful score and bleak cinematography, the film truly captures the essence of life and death. In 2013, the film received the Black Pearl award (the highest honour) at the Abu Dhabi Film Festival for "its humanity, empathy, and grace in treating grief, solitude, and death". It’s very well deserved. Still Life is extremely moving – I’ll hold my hands up and admit that I shed manly tears. More than once. This is profound and powerful cinema but, whilst the subject matter could create an extremely depressing piece, the result is uplifting and inspiring. My closing thoughts? Still Life reminds you of your mortality and inspires you to truly live. Life can be taken away from you in a second. Over the past week, 2 people in my circles have died far too young under tragic circumstances. Life is short. So, what is it to truly live? Well, for a start, keep your family and friends close, surround yourself with love and joy, don’t be afraid to take chances, and the rest will follow. If you want to do something, don’t put it off. Do it. Enjoy life. Enjoy every second you have on Earth. A long time ago, I was browsing in a little shop by the sea and I found a decorative wall plaque with ‘enjoy the little things, because some day you’ll realise they were the big things’ written on it. That stuck with me. Hopefully it’ll stick with you too. Life affirming, inspiring and uplifting, Still Life is one of the finest films of recent years and thoroughly deserves 5/5.